Which country will pay for my old-age pension after Brexit? 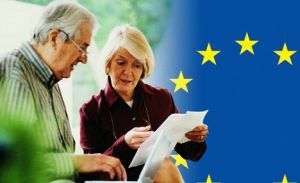 Currently EU membership ensures your pension rights if you live and work in more than one country of the European Union or in Iceland, Liechtenstein, Norway and Switzerland? In particular, what happens to contributions paid in one country if you then move to another country? And which country will pay your pension when you reach retirement age? EU rules on social security coordination enable you to move around Europe and not lose out on your social security rights. All you need to know about the current rules is contained in this informative European Commission video. However these may change on 29th March for UK citizens. Please keep informed with developments by following our newsfeeds. More information is available on GOV.UK. « EU – Japan Economic Agreement comes into force.